HELP MAKE GEORGIA’S BIGGEST DAY OF GIVING EVEN BIGGER. 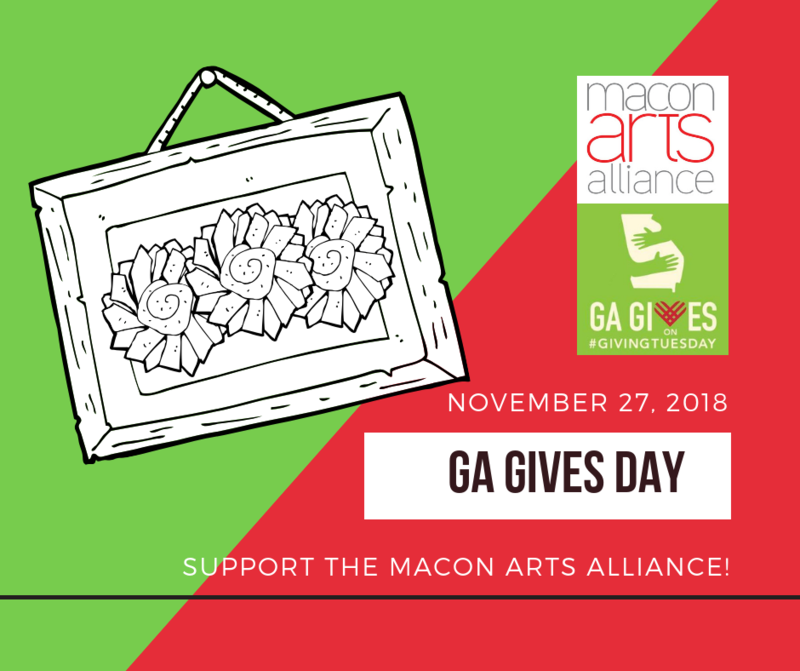 SHOW YOUR LOVE FOR MACON ARTS ALLIANCE ON NOVEMBER 27TH BY GIVING A LITTLE—AND TOGETHER, WE CAN DO ALOT FOR THE QUALITY PROGRAMS WE CARE ABOUT. EVERY DOLLAR COUNTS. WHETHER YOU DONATE TEN DOLLARS OR TEN THOUSAND, YOUR CONTRIBUTION SUPPORTS THE LOCAL NONPROFIT THAT LEADS OUR CULTURAL COMMUNITY, ENRICHES OUR LIVES, AND ADVOCATES FOR OUR VIBRANT ARTS CULTURE.